Feliz Corazones, or 'The Happy Hearts' program, is run by Guillermo and Gabby, the children of Rosa Maria Vides de Monzon who established the program. They are dedicated to helping at-risk families keep and raise their children. 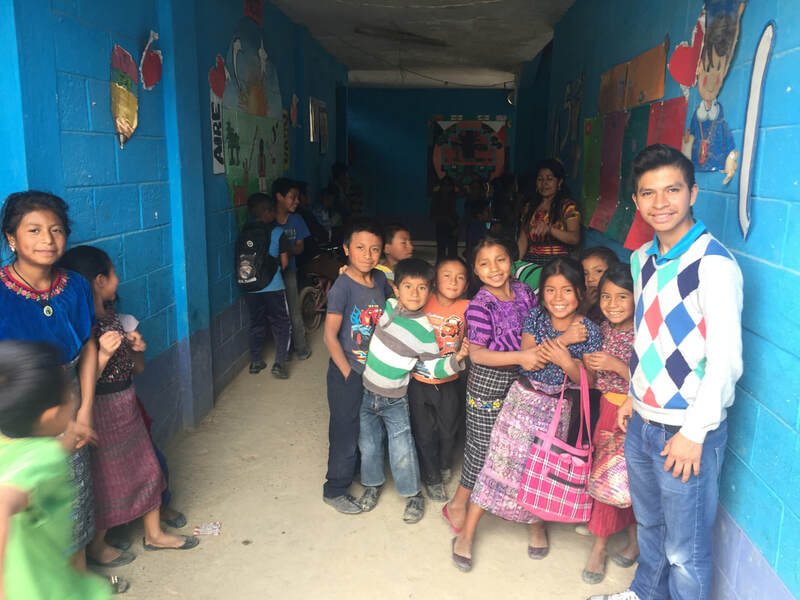 The program is focused on helping poor Guatemalan children to improve their ways of life through the love and commitment of some wonderful sponsors. They currently have numerous children in need of sponsorship. ﻿This volunteer hospital in Antigua is the home for hundreds of abandoned children and adults, they also provide day surgery, dental care, nutritional support and drug addiction/alcohol rehabilitation programs to the under served population in the area.﻿ We provide supplies or donations for specific needs. Guatemala has a large number of children in institutions, many of which are inadequately staffed and lacking in their ability to provide education, health care, physical safety and emotional support. When children or teenagers age out of institutional care they may be released with no family to return to, and they often have insufficient education to obtain a skilled job, and no address to go home to. This results in a life in the streets and a difficult or impossible path not only for a successful and productive life, but also for survival.We try to erase that scenario by providing much more then the essential needs of food and housing for our kids.We want to provide a good life, now and for their futures. Education and life skills are a priority. Whether short term or long term at our home, children are in a continuum of support so as to provide as few barriers to education as possible often by providing school supplies and healthy food to the caregivers/family as well as counseling. Community engagement is encouraged. We want the community to be a part of the home as much as we wish the kids to be active, supportive and connected within their community.These help showcase our commitment to the children in our care “our family”, and our commitment to the community. Jobs and on-the-job training are offered through the hiring of the Guatemalan/local workforce and community members. Community recycling program – with the help of volunteers and donors we first created a recycling center for home use. We expanded this and opened up recycling for the entire community. Not only does this keep the environment free or many items that would otherwise be landfilled or tossed in the woods or streets, it has become a source of income for the home. Water conservation – our children learn of the importance of water conservation and we are continually looking for ways to reduce and reuse water at the home. Clothing and Household item recycling - With garage sales and the donation of for re-use of used items we hope to keep things out of the landfill and pass on for use. We find other schools, organizations that can use them, or house Garage sales for raising funds for the school. ​The Hogar de Ninos Fatima is real home in Guatemala City run by Barbara Cofino with much help from her son Pedro de Leon. Their volunteers and staff love and support more than 40 children that have either been placed with them by the courts due to abandonment or removal from abusive situations. Luz de Maria is located just outside of Guatemala City in a lovely home that is run by a very caring woman named Dinora Palacios. 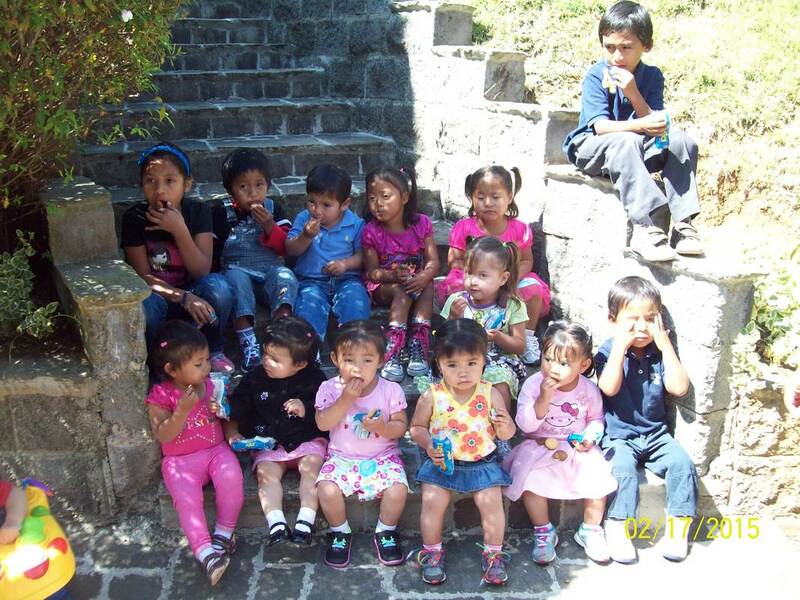 Dinora has more than 40 children between the ages of 0-7, and many babies that have been abandoned and found a home here. Dinora is resourceful and works hard to find assistance for the orphanage.